Each family and individual has different needs and concerns, which requires a sensitive and individual approach to resolving issues and planning for the future. As a collaborative lawyer and mediator, Fran Whyman works with individuals, couples, and family members through her collaborative law and mediation practice, Whyman Law & Mediation, to facilitate agreement with respect and dignity. 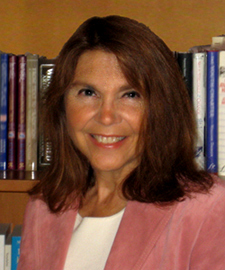 The use of mediation and collaborative law, two alternative dispute resolution methods, are employed to help individuals, couples, and family members reach agreement around challenging issues during difficult times in their relationships. Marital issues and divorce, premarital agreements, parenting plans, custody, child support and maintenance terms, the division of family assets, the terms of modification of a prior divorce judgment, issues related to the management of a family business, and discord among siblings and family members over issues related to the aging of a parent are handled in a confidential and sensitive environment. Mediation and collaborative law reduce conflict instead of escalating it at a time when discord may be standing in the way of agreement. Fran Whyman is committed to helping individuals, couples, and family members reach a comprehensive agreement without protracted litigation, the exhaustion of financial resources, or further detriment to their relationships. Please feel free to call or email to find out more about how the practice can serve you or to arrange an informational consultation.